5 Simple Tips for Expressing Milk | The New Mummy Company Inc. 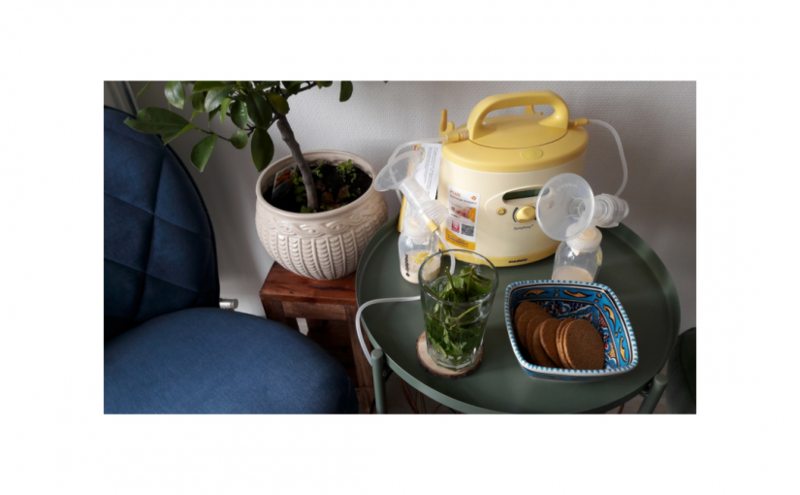 Whether you are pumping short-term by hand or manual pump or are pumping exclusively by using an electric breast pump here are some simple tips for expressing milk and have a great pumping session! When it comes to nursing and expressing milk, being comfortable and relaxed is paramount. Being able to relax your body not only means you can pump for a longer period without getting uncomfortable, but also encourages let downs of milk! Ensure you are sitting or laying comfortable with your shoulders relaxed. If you are double pumping regularly, consider a pumping bra to allow your shoulders to relax. Pump in an environment that is warm and quiet that’s away from the hustle and bustle of having a new baby. Pump with your baby near you, where possible. If your baby is in the NICU or hospital, having photos or videos of your baby as well as a piece of your baby’s used clothing can also help with milk production. Skin to skin is such a simple but important activity in a new mom and baby’s relationship. Skin to skin is not only great for newborn babies but can be done as your baby develops and grows too. Skin to skin is great to keep baby cozy after bath time or before nursing or pumping. Skin to skin not only benefits baby but also helps get the oxytocin flowing in your body – helping with milk production! Some pumping mothers recommend hand expressing for 1-2 minutes before using the pump to improve milk flow. The warmth and ‘skin to skin’ from their hand provides good stimulation to improve their pumping output. It can be stressful having a time limit on your pumping session, which can hinder your milk flow. Set aside plenty of time to pump your milk to avoid the time pressures and demands. Don’t focus on the clock! Initially, you may need to pump for longer periods of time as you get to know what works for you. Establishing a routine is key and eventually you’ll know your body and pump enough that you’ll be able to get an optimal amount of milk in a shorter amount of time. 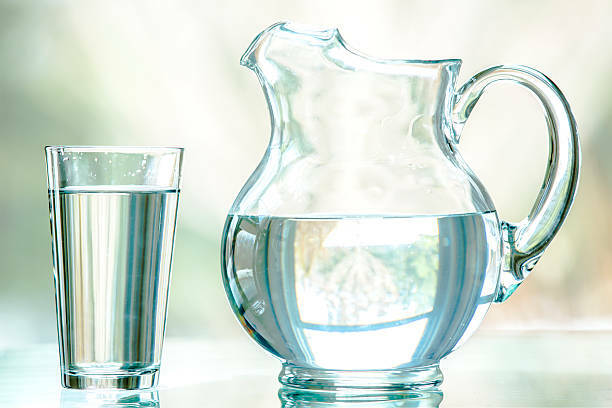 Breast milk is largely made up of water to keep your baby hydrated. As a milk-making mommy, you need to be sure you hydrate as your body produces milk for your baby. As the summer months are coming in, you may not feel thirsty but be sure when expressing milk, to keep a glass or bottle of water to hand . After a couple of pumping sessions, you’ll soon learn what you need and don’t need to hand when pumping. As not many pumps are mobile and require electricity to work, you are often confined to a small area while pumping. It can be frustrating to sit down, put your pump on and then realize you’ve forgotten your phone or a glass of water. When there’s nobody around to get you the things you need, it is important to plan ahead. If you prefer to pump with entertainment think if you’d rather set up near your tv, remember your laptop or your phone. If the batteries are low in your devices, remember your charger! Having small ‘one hand’ snacks and a drink close to hand is also useful. It is a good idea to have a cloth or towel in the event of any spillages as well as comfortable pillows to aid your position for pumping. If you have any other tips or tricks please leave a comment. 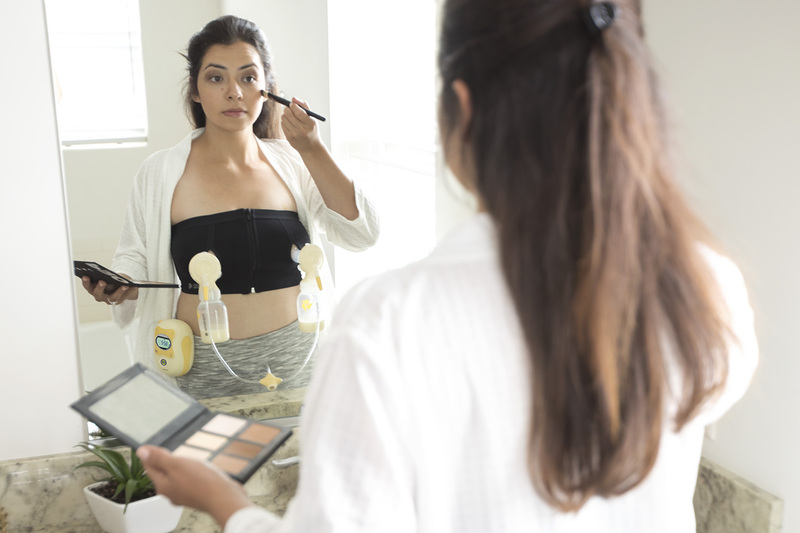 To learn more about our hospital-grade Medela Symphony breast pump rental service visit our website www.babydriver.ca or call our New Mummy Company office on 1-844-237-4686.